Cream, Steel, 31.5" x 15.5" x 4"
The Large Biometric Wall Safe by Barska is an all-new secure storage solution that is designed to house important items such as medical supplies or personal valuables. 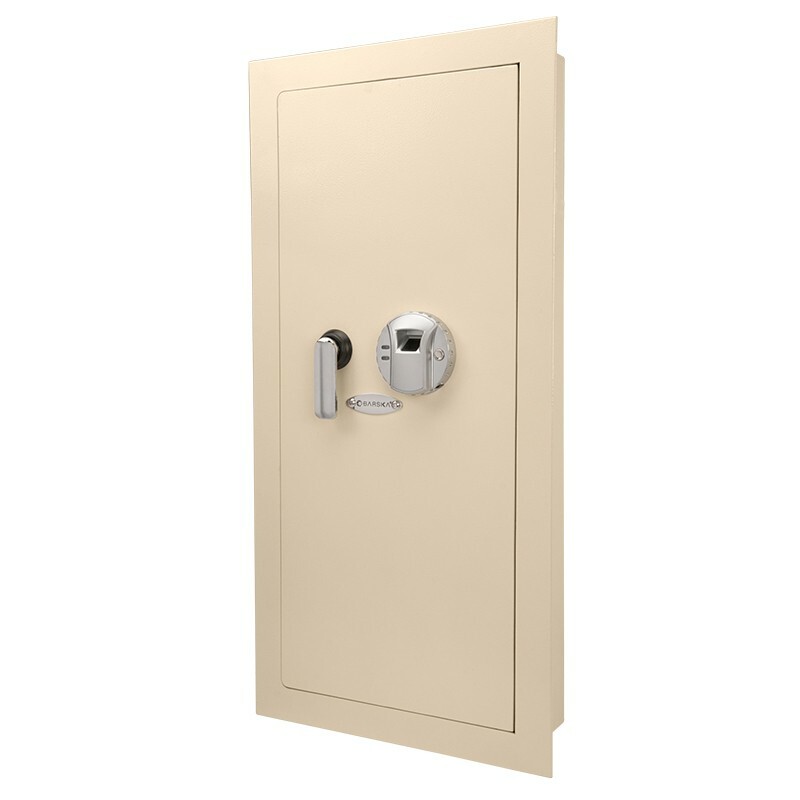 The Large Biometric Wall Safe can store up to 120 fingerprints in its biometric memory system, providing the option of allowing multiple users access to the safe. Inside the safe is an extra locked compartment for more sensitive items, and also features an LED Light and fold down tray for extra convenience. 31.5" x 15.5" x 4"
30" x 13.6" x 3.5"